The biggest challenge for the beginner and sometimes even the intermediate guitar player is to make chords sound clean and clear. I still remember the frustration struggling with the C and F major chord. Like it would never gonna work. I kept practicing every day and then all of a sudden there it was. The chord sounded perfectly clear. It felt like it happened out of the blue, but I knew it was the result of lots of practice. It was my first guitar victory. To get a good sounding chord there are several things you need to pay attention to, observe, apply and check repeatedly. Good sounding chords is not an overnight thing. It’s also not the hardest thing in the world but it takes time, regular practice and perseverance. If you implement these 10 tips during practice you will definitely get there. Practicing will be a lot more effective and results are just around the corner. 2 – As close to the fret as possible. Place your fingers as close to the fret as possible. Don’t place your fingers on the fret (metal fret wire), it causes buzzing. Not every chord allows all fingers to be placed right behind the fret (for example: A major chord), but try to place them as close as possible. To get a good clean sound use the very tip of your fingers to press down the strings or else the strings won’t ring out properly. Only use the pad of your fingers when you need to bar multiple strings like with the F chord. Press your fingers firmly down on the strings. Yes it might hurt a little in the beginning, but it won’t kill you. You’re fingers need to get used to the strings. Just press hard enough so you can hear the sound of the strings, but not to the point where you’re feeling cramps. You need to find the right balance. You finger tips will toughen up after a while and develop calluses which make them less sensitive to the pain. A lot of times a string is buzzing or just flat out muted because of another finger above that string is leaning against it, due to straight fingers. So always look really carefully that your fingers are not touching any neighboring strings. The thumb of your fretting hand should rest vertically behind the neck of the guitar placing it approximately between your first two fingers. Never lie your thumb horizontal or parallel to the neck. Sometimes when it’s hard to reach one of the lower sounding strings with the tip of your fingers you might want to try to lower the thumb a bit and move up your fingers to reach a particular string. 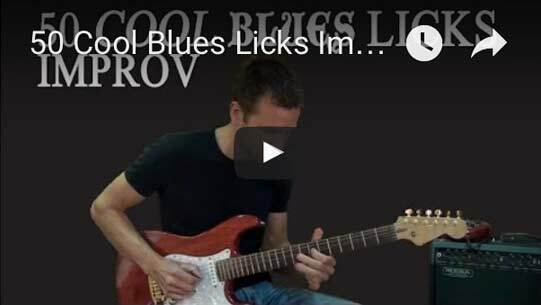 Intermediate guitarists may use the thumb to mute the upper strings, where the thumb leans over the neck, but don’t try this in the beginning when you’re still struggling to get a good clean sound. Just rest your thumb behind the neck for now. That’s the best positioning. Play a chord and then pick the strings one by one to hear if all your fingers are placed correctly. Check each string and adjust your finger if that particular string doesn’t sound clean. Move on the the next string, pick the string and listen if it sounds good or not. Adjust your fingers one by one, if necessary, until all your fingers are placed correctly and the entire chord sounds clean and clear. Keep your fingernails short on the fretting hand, so they don’t touch the fretboard. Check them regularly. A lot of guitars have poor or high action which makes it really hard for you to make your chords sound properly. Go to your local guitar shop and see if they can adjust the action of your guitar to improve the comfort and playability of the guitar. It can make all the difference. Good sounding chords is all about proper finger placement and training muscle memory. Daily practice will improve your muscle memory and your chords will improve due to repeated practice. Be patient, persistent and practice, practice, practice. That’s the key to improvement! 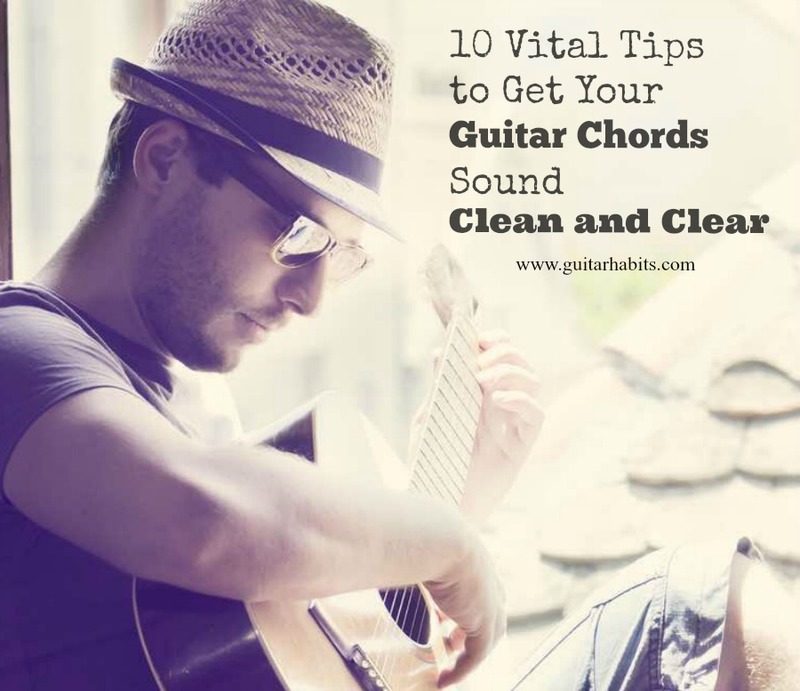 Thank you for sharing Vital Tips to Get The Chords Sound Clean and Clear. Your post is quite details and helpful for me. I will practise and use it as the guide. be pretty knowledgeable about gardening. Can you plant un-popped popcorn kernels? Thank you so much!!! I’m a beginner and this really helped.